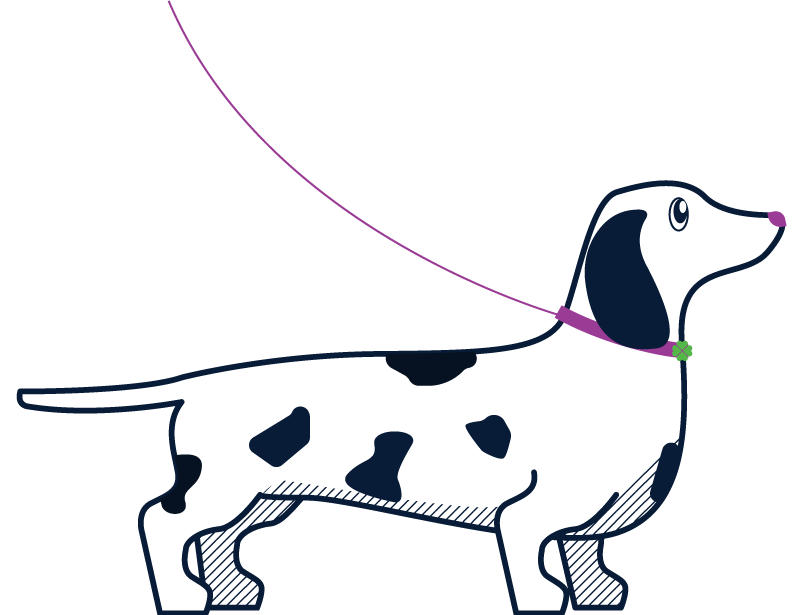 The Lucky Pup | FAQ's | Why hire The Lucky Pup as your Pet Sitter? Why hire The Lucky Pup? We are true animal lovers with over 40 years experience and understand the love you have of your pets and we take that to heart while caring for them. We will care for your pet like they are our very own. Creating a long and trusting relationship with our clients is very important to us at The Lucky Pup! We stand by our commitment to our clients and their pets to provide top notch service on a consistent basis. We are professional locally owned and operated Pet Care providers and our clients know that when they leave their pets in our care they know that we have the knowledge, experience and capability to handle that responsibility. As Pet Care Professionals we are Licensed, Bonded, Insured, and Pet First Aid / CPR Certified in case of emergency. Living in North Kitsap and being a pet parent can be a lot of work, especially getting home on time to feed or take your dog for a walk. Being away from your best friend(s) is never easy. The Lucky Pup makes life easier for pet parents with busy work schedules like you. The Lucky Pup is like having your most trusted friend/professional to call and check-in on your pet when you’re in a jam. We know you have many choices in Pet Care, which further drives us to be the very best that we can be! Whether you choose to hire The Lucky Pup or another pet service provider we are dedicated to providing consistent, reliable care to all types of pets and will always thrive to exceed your expectations. You and your pet’s personal satisfaction is guaranteed. We guarantee your best friend(s) will be loved and well cared for in his or her own home while you’re away. Why hire a Professional Pet Sitter / Dog Walker? It is a studied fact that your best friend(s) are happiest and feel the safest when they are cared for in their own home. A professional Pet Sitter/Dog Walker allows your pet family to stay in the comfort and security of their own environment, without exposure to disease or parasites often associated with boarding or kenneling. It is important for your best friend(s) to remain without stress and anxiety. Some pets feel abandoned when left alone for long periods of time. Research shows that loneliness is the biggest cause of canine depression according to the vet charity PDSA (People’s Dispensary for Sick Animals). Reduced stress – Your best friend remains in its own familiar, comfortable and secure surrounding. Healthier and Happier – A more well balanced behaved, healthier and happier best friend. Diet and Exercise – A normal diet and routine are followed. Daily walks and playtime are part of our service. Exercise serves as a mischief deterrent and is good for your best friend’s health and state of mind. No travel trauma – Traveling to a family member or friend’s house, or to a boarding facility may upset your best friend. Loving Care – Your best friend receives unmatched personalized attention and loving care while you’re away. Benefits for your convenience and time – You won’t need to spend time transporting your best friend to and from another location. 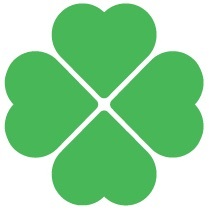 In addition you don’t have to impose upon your neighbors or others. Security – We want the house to have that “lived in” look. Peace of Mind – You can enjoy time away from home knowing your best friend is being cared for by a professional who will put your best friend’ needs first. No more guilt – Having a sitter means you no longer have to worry about your dog being alone inside all day long. Hiring The Lucky Pup while you are away is the ideal solution for you and your best friend. Let us give you peace of mind knowing you don’t have to stress or worry about getting your best friend(s) out for a much-needed potty break, or them getting into the trash or chewing up your furniture. Help ease your best friend’s loneliness with a visit today while you’re away! Which organizations are you affiliated with? We are proud members of the Kingston Chamber of Commerce and Pet Sitters Associates. Along with being very active in our community of Kingston and volunteering as much as we can with such great organizations like PAWS of Bainbridge Island and North Kitsap and Kitsap Humane Society. Are you certified in Pet First Aid? Yes! The safety of your pet is extremely important to us. We have carefully reviewed the procedures for Pet First Aid from the American Red Cross. If your pet becomes sick during our care, we will immediately contact you and then your designated veterinarian or the 24-hour animal emergency hospital in North Kitsap. Statistics show that preventable accidents are the leading cause of death among pre-senior dogs and cats. Most situations can be prevented. The more you know about the pet’s health the better chance you have of keeping a simple problem from becoming a big problem. The annual cost of veterinary assistance and pet health care will be more than 45 billion dollars in 2010. There is no dollar figure that can be placed on the toll of pain, suffering, disability and personal tragedy experienced by the pet, family and pet care professional. Most situations can be prevented. The more you know about the pet’s health the better the chance you have of keeping a simple problem from becoming a big problem. When your pet has an emergency, being prepared is very important. Before an emergency strikes, be sure you know how your veterinarian handles emergencies or where you should go if you have one. Yes. We are Licensed with the State of Washington. Bonded and Insured by Risk Placement Services, Inc. Yes. We are happy to provide references upon request. 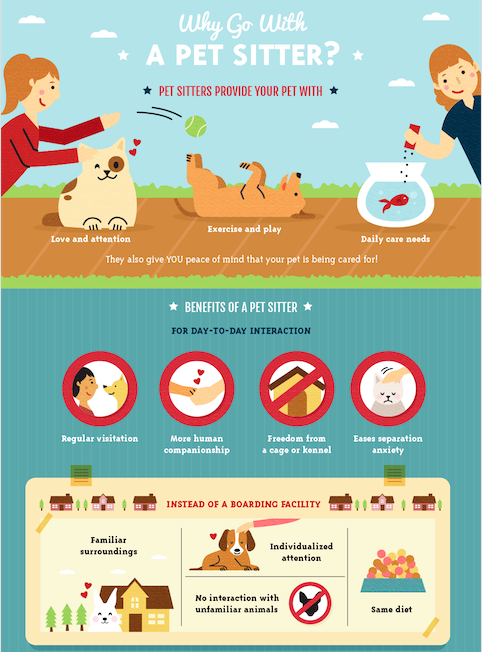 What are the advantages of pet sitting (over other pet-care options)? For more info please see our Why In Home Pet Care? page. Pet sitting” is defined as “the act of caring for a pet in its own home while the owner is away.” Dog walking is also a form of Pet Sitting since it involves coming to the pet’s home to provide exercise and companionship. Caring for pets in the client’s home is what separates The Lucky Pup from other pet care options. What separates a hobbyist Pet Sitter from a Professional Pet Sitter? Often times, pet owners, and even news outlets, use the term “Pet Sitter” carelessly, referring to anyone – from a family friend to the neighborhood teenager asked to walk a dog – as a “pet sitter.” Pet sitting is a professional career and professional Pet Sitters and Dog Walkers offer peace of mind that other pet-care options cannot. Does the Pet Sitter provide client references if requested? 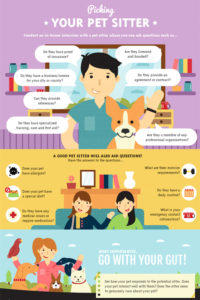 Is the Pet Sitter certified in Pet First Aid and CPR? What is the importance of mid-day visits/walks? Research shows that loneliness is the biggest cause of canine depression according to the vet charity PDSA (People’s Dispensary for Sick Animals). They surveyed 31,500 pet owners and found that 2.3 million dogs are regularly left at home alone for over five hours. Vets suggest the absolute maximum amount of solitude that dogs can cope with is four hours. Dog parents are starting to realize the impact that long periods of loneliness can have on their pets and are looking for new adventures for their dogs to help prevent depression. I’ve never used a Pet Sitter/Dog Walker before, what’s the first step? Schedule a complimentary Consultation by calling 360-358-5773, Chat or by clicking here. This enables us to get to know you and your pet. We will document as much information as we can so we can be sure that we are fully aware of your pet’s likes/dislikes, any special needs they have, anything we need to be aware of when we care for them, etc. If you decide to move forward with The Lucky Pup, we will discuss our pricing and program options to make sure we put you on a program that best fits your needs. We will ask you to sign a service agreement and we will request 2 copies of your house key. 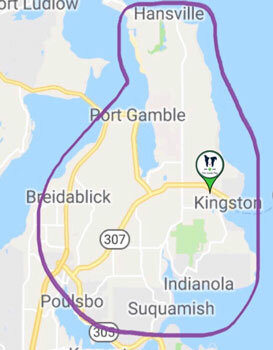 North Kitsap including Kingston, most of Poulsbo, most of Hansville, Indianola, Port Gamble and most of Suquamish. *We reserve the right to impose a small travel fee depending on actual mileage and driving time. Availability is limited, Contact or Chat with us today! What hours do you do your walks? Our core hours are 10am –6pm. Contact or Chat with us today for your FREE Meet & Greet Consultation. What safety precautions do you take to ensure the security of my home? We lock your house every time we enter and leave to ensure the security of your home at all times. We can also provide crime-deterrent measures such as rotating your lights and blinds to provide a lived-in look, pick up mail, move trash cans, set alarm systems, and more. We are happy to discuss security and safety options at your meet and greet. Will you come every day? Yes. For Dog Walking we recommend at least once a day for a more well balanced behaved, healthier and happier best friend. For Pet Sitting we need to see your best friend each day to make sure they are healthy and secure, typically two or more times a day for dogs and at least once a day for cats. Contact or Chat with us today for our discounted packages. Where is the nearest vet? Do you have a vet on call? We will try our best to use your preferred vet in an emergency situation and ask at the meet and greet that you put a release on file with your vet so that we may authorize care. Many veterinarians are within a few miles within our service area and they have a very good relationship with us. In emergency situations after hours, we use the Poulsbo Emergency Vet Clinic on Lindvig Rd. Holiday priority is given to existing clients, please Contact or Chat with us today and book in advance. How much notice do you generally need? Can I call, text or email to get updates on my pets? What do I do if my pet requires medication or is on a special diet? We are happy to administer medications per your instructions and follow your pet’s special diet. It is our priority to keep your pets as close to their normal routines as possible. If an emergency delays a sitter, depending on length of delay, a backup or other arrangements will be made available. We will always communicate any changes with you as soon as we can. Have you ever turned down any dogs before? If so, for what reasons? What if the unexpected, but necessary happens? In an emergency, owners are notified immediately. If required, Veterinary services are sought. Client understands that agreement also serves as an invoice and takes full responsibility for PROMPT payment and fees upon completion of services contracted. A finance charge of 3% per month will be added to unpaid balance after 30 days. A handling fee of $30 will be charged on all returned checks. A 50% deposit will be required on lengthy assignments and first-time clients. Those clients with a history of late payments will be required to pay in advance before services are rendered. In the event it is necessary to initiate collection proceedings on the account, client will be responsible for all attorney’s fees and costs of collection. We welcome your feedback and suggestions. Please use our Contact page or Chat to tell us what we’re doing right or what we can improve on to better your experience.